Developed by Turtle Rock Studios. Published by 2K Games. Released February 10, 2015. Available on PC, PS4, and Xbox One. Reviewed on PC. Review copy provided by Publisher. Hostile wildlife, stranded colonists, and a huge monster whose only goal is to snuff out you and your team. 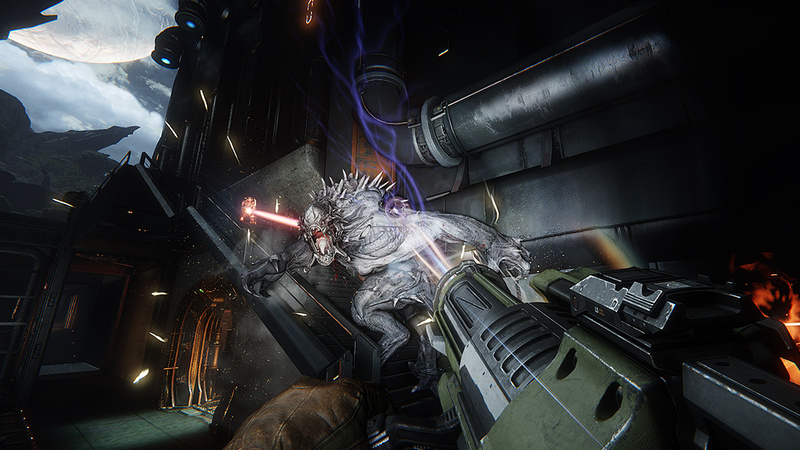 This is the latest co-op shooter from Turtle Rock Studios, Evolve.The Left 4 Dead developer's newest effort has you stalking the most dangerous game imaginable: other players. Welcome to Shear. This wild planet is covered in thick jungle, towering rock formations, and scattered human outposts. Unfortunately, Shear is also home to some of the most horrific monsters you'll ever encounter, and they're not happy about the humans coming to visit. Luckily, there's a four-person team of experienced monster hunters ready to take on the threat and buy enough time for the colonists to escape. That's where you come in. 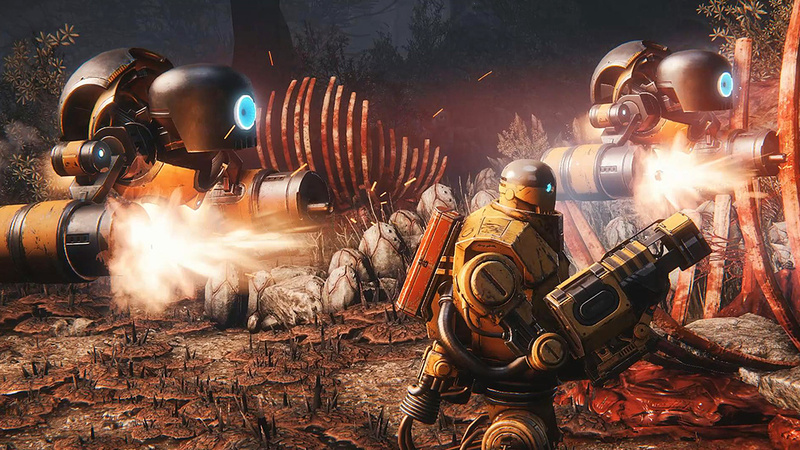 Evolve is in the class of game that's simple to pick up and play, but difficult to actually master. At first glance, it seems like just another another shooter, but that impression belies the depth apparent just beneath the game's surface. 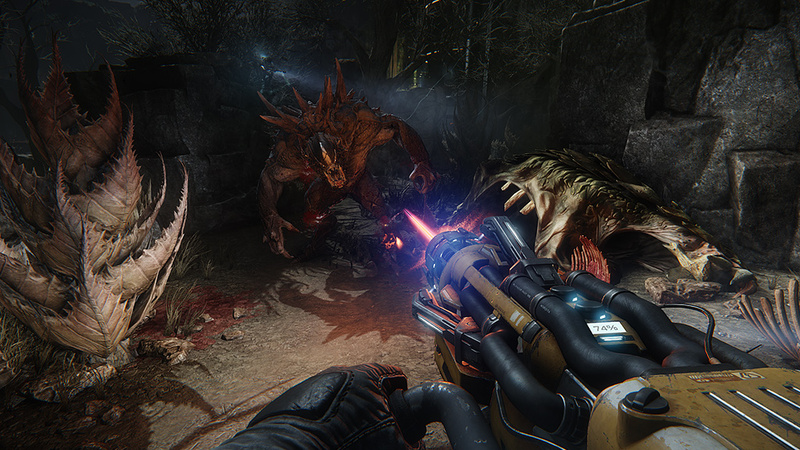 Unlike Left 4 Dead, Evolve fits players into specific roles on the team. You aren't just there to spray out bullets. Instead, each player has a bevy of special abilities that contribute to the success of the team. Using those abilities to the fullest is the key to success. 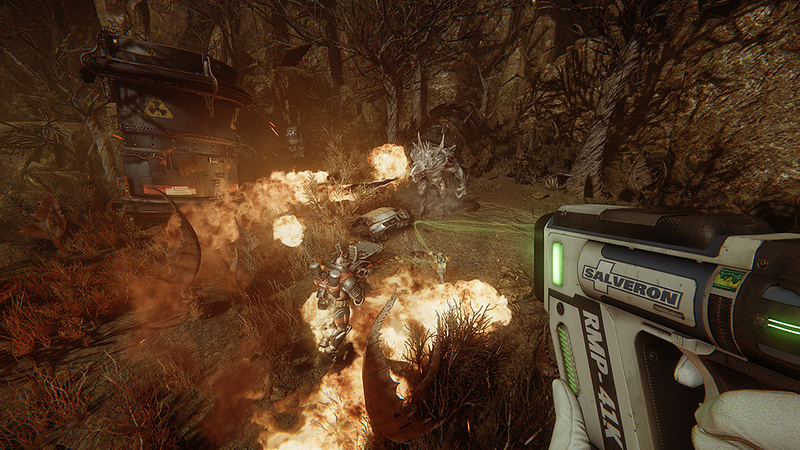 The assault class deals damage with heavy weapons and explosives. The support class can shield teammates, hide them from view, and even call in supporting fire. 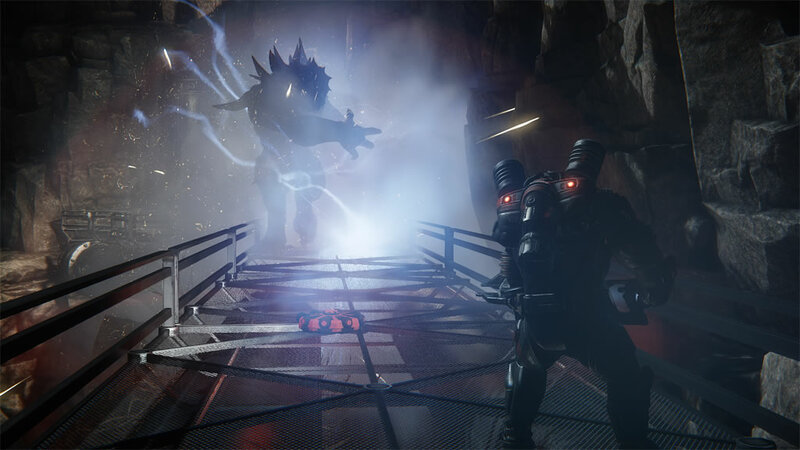 Trappers can not only find the monster you're hunting, they can slow it down and even contain it within a giant mobile arena. Finally, the medic can keep their teammates alive by healing them, and in some cases can even bring them back from the dead. 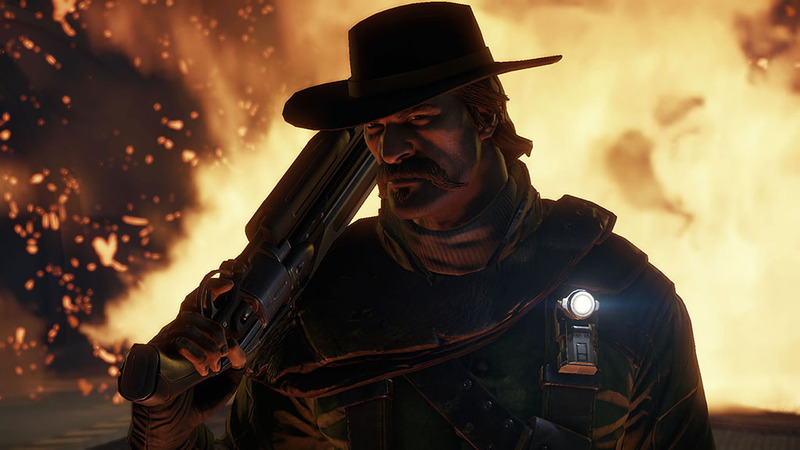 Each class also has three different hunters available at launch, with more planned as DLC. The variety in the class comes from each hunter having their own approach to the class' job. For example, the medic Val heals using a medgun, not unlike the medic in Team Fortress 2. Caira, on the other hand, uses a grenade launcher that can switch from shooting napalm to shooting grenades that heal teammates. Lazarus takes a completely different approach, preferring to let teammates die and then bring them back from the dead. This variety allows you to do more than customize your loadout or you gun, it lets you choose a character whose playstyle and abilities fit your preferences, or the map type. But variety isn't limited to the hunters. There are also three monsters available in the base game, and a fourth that's available free to those who pre-order. Each requires a completely different approach and tactic. 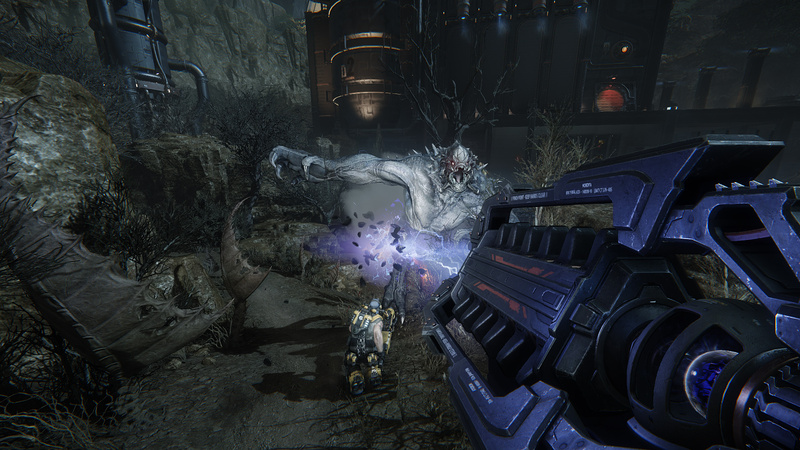 The Goliath is probably the monster you've seen the most of so far. A hulking bruiser, the Goliath uses leaps, melee attacks, and fire breathing to quickly dispatch his foes. Contrast that with the Kraken, which prefers to attack from range using lightning bolts, and also has a knockback attack to keep enemies at tentacle's length. 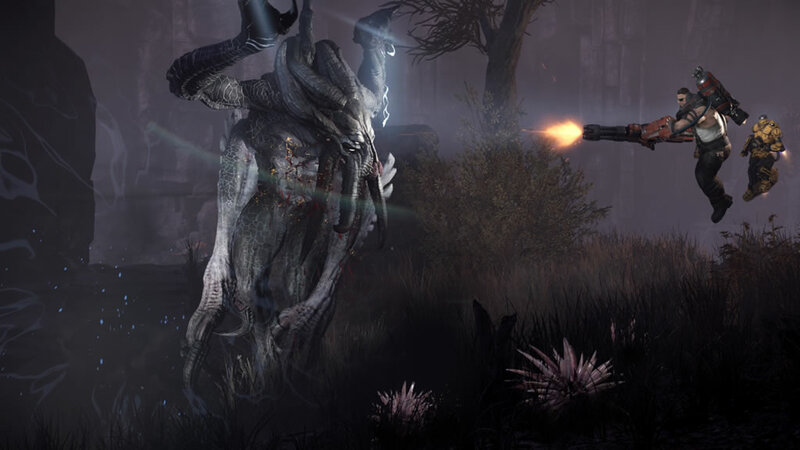 The Wraith is a stealthier monster, using teleportation and a spawnable decoy to disorient the hunters and keep them shooting at the wrong target. There's also the Behemoth, the monster that's included as a pre-order bonus. He's not only huge, he can summon rock walls to isolate hunters or shield himself. Finally, there's a large amount of variation in the game types. Basic hunt missions task the hunters with finding and killing the monster. 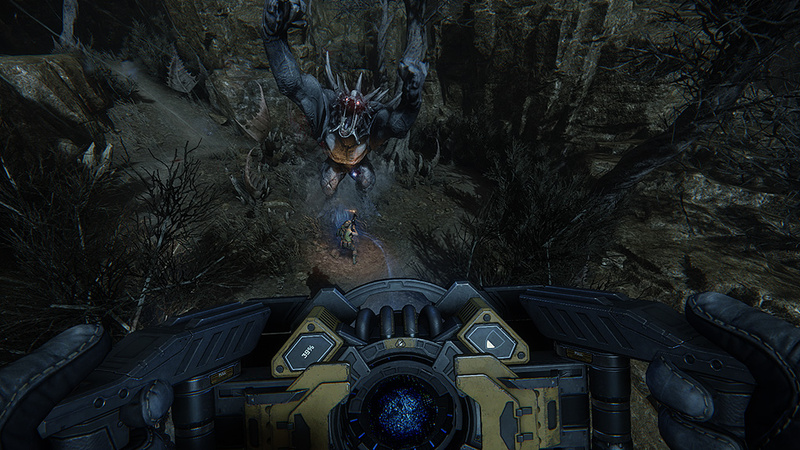 Nest missions have the hunters trying to destroy monster eggs strewn throughout the map, while the monster tries to protect them. Rescue turns that around, sending the hunters out to rescue wounded colonists that the monster is trying to hunt down and finish off. FInally, Defend has players digging in to hold off waves of minions and the monster as the colonists attempt to board the escape ship and get away. Each of these is enjoyable in its own right, but where the game really shines is when it puts them all together, in Evacuation mode.